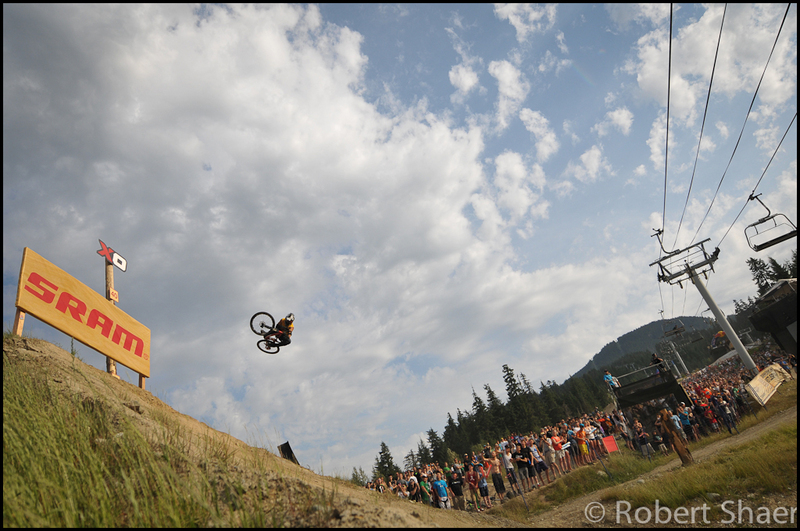 A few more from last night’s Redbull Joyride at Crankworx. It feels like it’s been a pretty long week, but we are back at it for one more day. 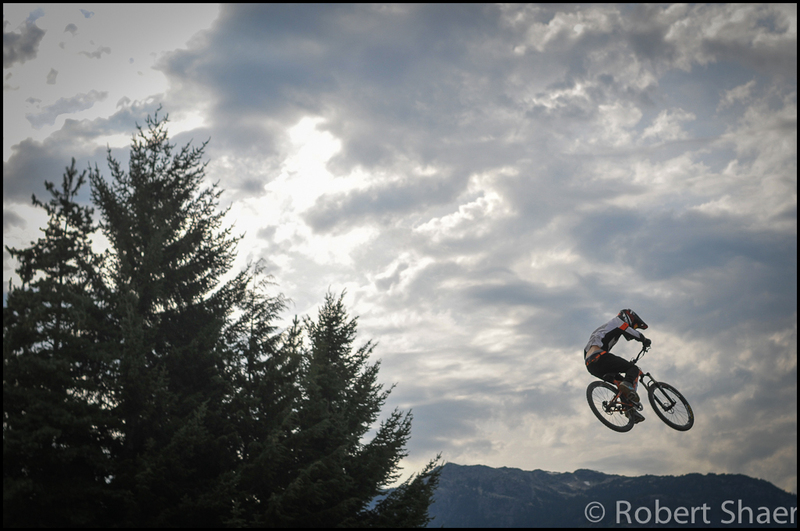 Last night was the crown jewel of Crankworx, it’s the big money event and the winner, Thomas Genon, suggested that he might buy an ‘ippy van’ with with $25,000 prize money when he gets back to Belgium. 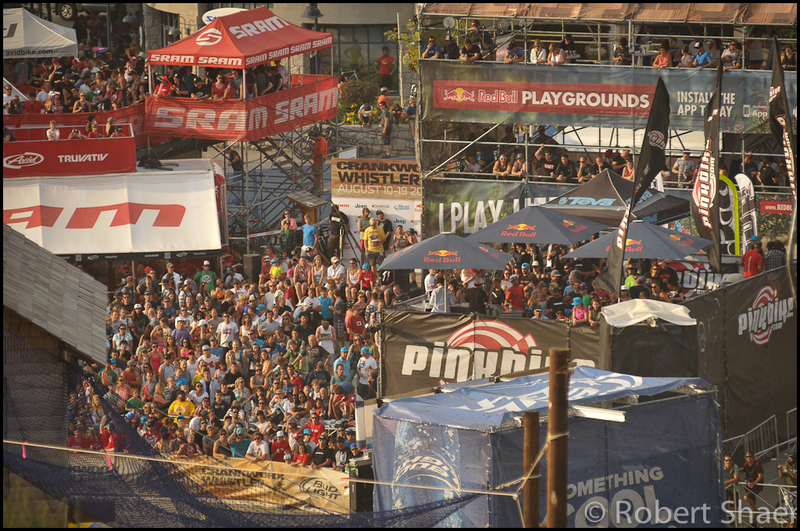 Clearly I have no fear in dating myself, but I can remember summers in Whistler being pretty quiet, those summers have long since passed; 25,000 people watched yesterday’s event, which has to rival almost any winter event held in Whistler barring the 2010 Games. The scene on the ground in Skier’s Plaza was only eclipsed by the scene in the air above us. With high winds and broken clouds athletes were pushing 60 foot airs and dipping deep into their bag of tricks. It has occurred to me that it isn’t that these athletes pull these stunts, it is the casual way in which they appear to approach them. For Genon and others there must be some pretty serious things going through their heads as they prepare to hit ramps and drops with blind landings, but as a spectator it can be a little bewildering to see riders hit jump after jump after jump holding little back. I’ve always understood that it’s more than just talent or nerve, or um, Prairie Oysters; as young as they are, Genon and his competitors are professional athletes and their evaluation of a stunt goes far beyond how we might consider a line, trail or obstacle. 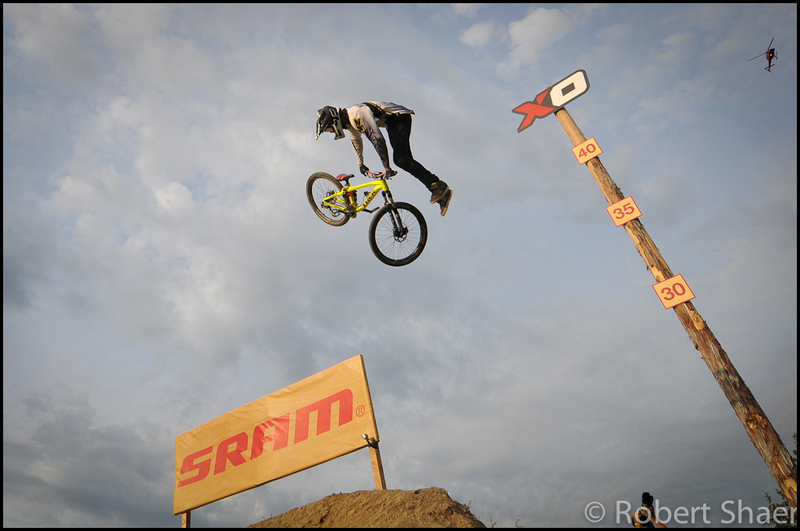 Today is the Canadian Open Down Hill, time to grab a coffee and clean my lenses.